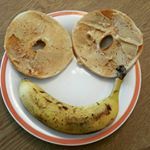 The intention of this blog is to share my journey to becoming healthier and hopefully inspire a few folks along the way. I think that being healthy in the mind is just as important as being healthy in the body. Therefore, I wanted to share some info about a new app I have been using. Pros: Lots of guided and unguided meditation, has definitely helped me to feel less anxious and be more mindful, is very relaxing. This app is really easy to use and very basic in a good way. Cons: I haven’t found any yet, I also haven’t tried any other meditation apps so there may be better or worse ones available. Availability – I’ve just found out that although I’m using this on the iPad that it was originally created as a web app, so you can actually use this on a computer and it’s also available on android. I’ve been using the Calm app on the iPad for free since February and decided to take the plunge on Sunday and subscribe. This costs either £7.99/month or £29.99/year. As it seemed a lot less and I find I am getting a lot of benefit out of it, I decided to subscribe for a year. I have been using the guided meditations twice a day (in the morning and evening). After subscribing you gain access to 7 programs of guided meditation, an unguided timed session and 24 single guided sessions on many useful themes such as ‘Deep sleep’, ‘Emergency Calm’ and even ‘Commuting’ (could be useful for anyone who gets the tube in the morning!). I haven’t tried any of these yet, but I am looking forward to testing them out. The app also has a ‘Profile’ section where there is a calendar which shows you your current ‘streak’ (days in a row meditating), longest streak, the total time you’ve spent meditating, and your total no. of sessions. This is a good feature for habit tracking. At the moment I am working my way through the ‘7 days of calming anxiety’. Those of you who know me will know that I am a bit of a worrier and this program is definitely helping me calm the F down. 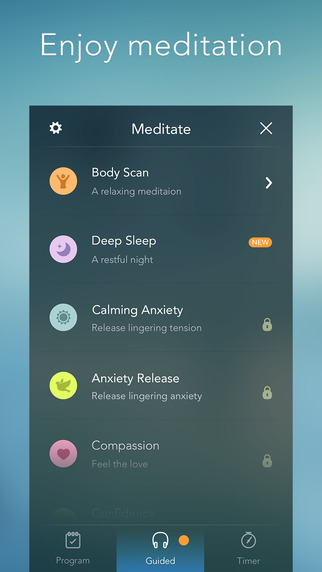 In conclusion – I definitely recommend this app and am looking forward to trying out more of the meditations. If you are like me and are trying to add good habits like meditation to your life then I think this would really help. Next Post Mikado – Tasty pick up sticks!